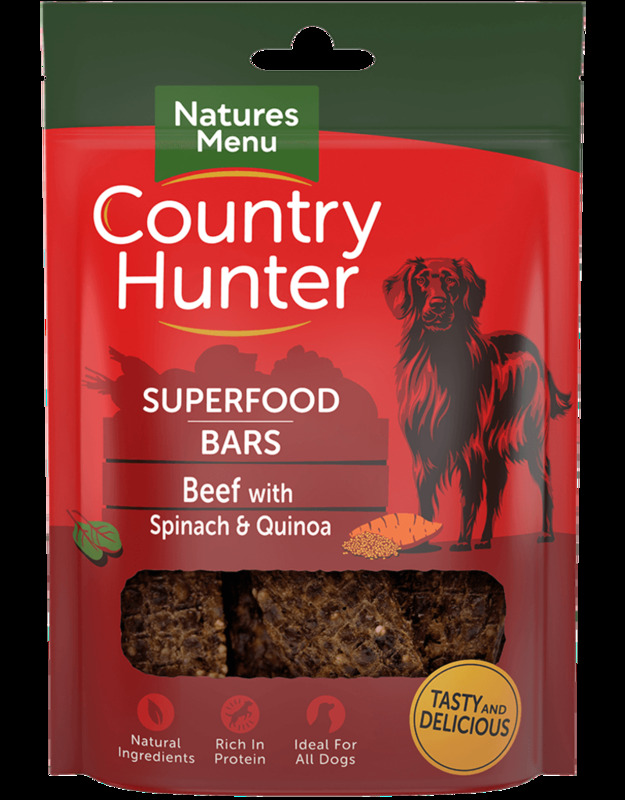 Nutritious air-dried Superfood bars made with the finest cuts of beef and a natural blend of spinach and quinoa. Complemented with extra fruits, vegetables and superfoods for a perfect healthy snack. 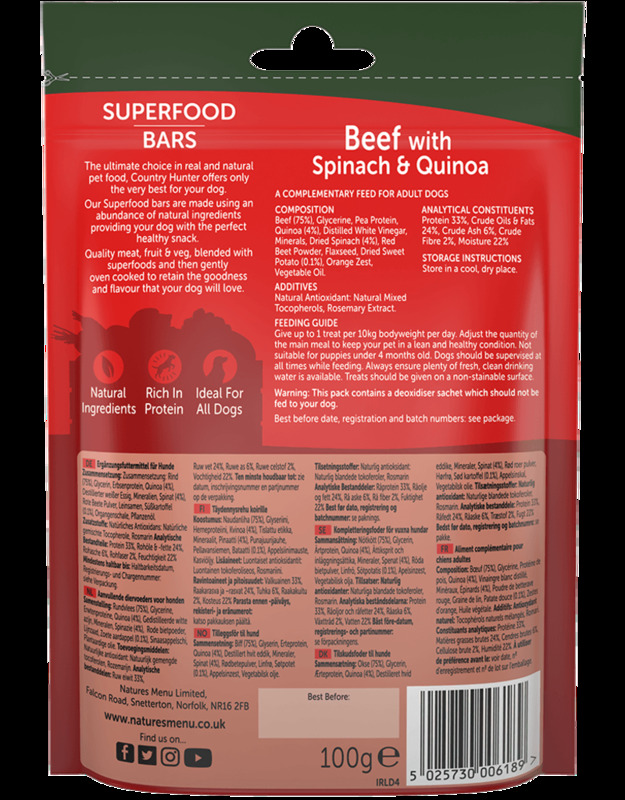 Superfood bars use quality beef pieces and a natural mix of spinach and quinoa to create nutritious and rich in protein snacks. Gently air-dried to lock in all the goodness and flavour from our natural ingredients. Each bar has an abundance of wholesome fruits, vegetables, superfoods and minerals including spinach, sweet potato and orange zest for a deliciously healthy treat. 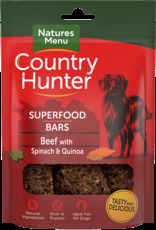 Made using quality, human grade meats in natural pet foods, and absolutely no meat meals or meat derivatives. 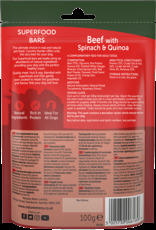 Beef (75%), Glycerine, Pea Protein, Quinoa (4%), Distilled White Vinegar, Minerals, Dried Spinach (4%), Red Beet Powder, Flaxseed, Dried Sweet Potato (0.1%), Orange Zest, Vegetable Oil. Protein 33%, Crude Oils & Fats 24%, Crude Ash 6%, Crude Fibre 2%, Moisture 22%. Natural Antioxidant: Natural Mixed Tocopherols, Rosemary Extract. Give up to 1 treat per 10kg bodyweight per day. Adjust the quantity of the main meal to keep your pet in a lean and healthy condition. Not suitable for puppies under 4 months old. Dogs should be supervised at all times while feeding. Always ensure plenty of fresh, clean drinking water is available. Treats should be given on a non-stainable surface.